The internet existed ten years ago, but it was a completely different animal. My family still had a dial-up connection, so good luck trying to load a video. Not that there were many music videos on YouTube anyway. A few of my slightly older mates tell me about how they left the computer running all night just trying to load a new four-minute Blink 182 video when it was released. Can you remember the ghastly screeching sound that the computer made when making a connection on dial-up? I can certainly remember my dad shouting at me to disconnect when he wanted to make a phone call. And to think that today we use our phones to connect to the internet! Youtube was a fledgling, Spotify and other such streaming sites were the speculative talk of some sci-fi future. Facebook existed, but didn’t become popular within my peer group until around 2009. We were all on Bebo [remember that??? ], with some of the more alty scene kids also having a Myspace account. Nobody really bothered with Facebook messenger anyway, because everyone used MSN. Which gives you some rough context to why I was my best friend’s house trying to listen to a song called “Living Is A Problem Because Everything Dies” using a program called Limewire. I’d read about this Scottish band called Biffy Clyro who had just released an album called Puzzle. They were on the front cover of Rock Sound magazine and they sounded interesting, so I was trying to find some of their music to listen to. Like I said, my family had a dial-up connection, so no point trying to find anything online at home. Streaming sites didn’t exist and sites like Youtube offered little music content. The record stores in my small hometown of Nelson weren’t going to import music by an unheard of [ha!] band like Biffy Clyro unless I was willing to shell out at least $40 – almost as much as I earned in a week working part-time at a supermarket. So I decided to use Tom’s computer to try to listen to this band. Limewire was notoriously bad for containing poor quality content. Viruses were abundant and most tracks were mislabeled and poorly spelled. So when I started listening to this song that I’d tried to download – “Living Is A Problem…” – it was of little surprise that the track sounded corrupted. I listened to the jarring, stabbing sounds at random intervals for about a minute before I stopped listening and gave up. There’s no way that this file was the single I had read about! It was a few months later that I bought a Kerrang! Magazine which featured a best of 2007 sampler. 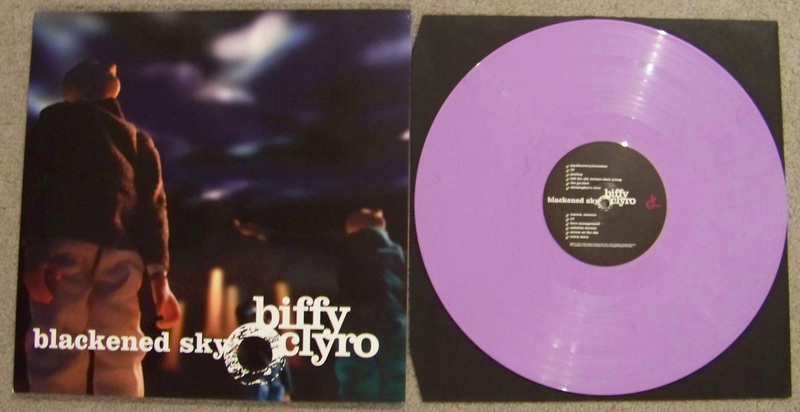 That CD featured a Biffy song called “A Whole Child Ago”. It had a crazy riff that sounded like a polyphonic ringtone [yes, this was 2007 remember! ], weird drumming that had a looping pattern [or did it?] and nonsensical lyrics. And I loved it! This track – along with “Get Fucked Stud”, from the Rock Sound sampler that I’d got when I first read about Biffy – made me want to track down this elusive Puzzle album again. Tom pulled through for me. A true best friend, he had heard me go on and on about wanting to listen to that album so somehow managed to buy a copy of Puzzle on CD for my birthday. I remember being so excited. I finally had it! I put it into my crappy discman that was hooked up to criminally bad speakers [so tinny they should have come with a gram of bud!] and sat down to listen to the album. It had a bright orange sticker on the cover with a quote from NME: “This album will change your life!” Yeah… right… I doubted the claim, but still had high expectations. The first track was “Living Is A Problem…”. Wait… What the hell? The same stabbing sounds for almost two minutes! So that file from Limewire wasn’t corrupted? And this was a single??? Upon closer listen, I figured that the song showcased some incredible musicianship. Certainly not easy to listen to, but bloody impressive that the three musicians could play something with such odd timing and play as a tight unit. The song got really aggressive, but oddly enough had choral sections and string arrangements juxtaposed again the heavy rocking. Listening through the rest of the album was an interesting ride. It was weird, that’s for sure. Clearly they were on drugs when they came up with most of the lyrics. And there are so many quirky elements and odd time signatures, which were actually tame compared to their previous three albums – not that I knew it at the time. I think it is impossible to listen to the infuriatingly catchy “Who’s Got A Match?” and stay still. The triplet groove compels the listener to nod their head, tap their foot… something! 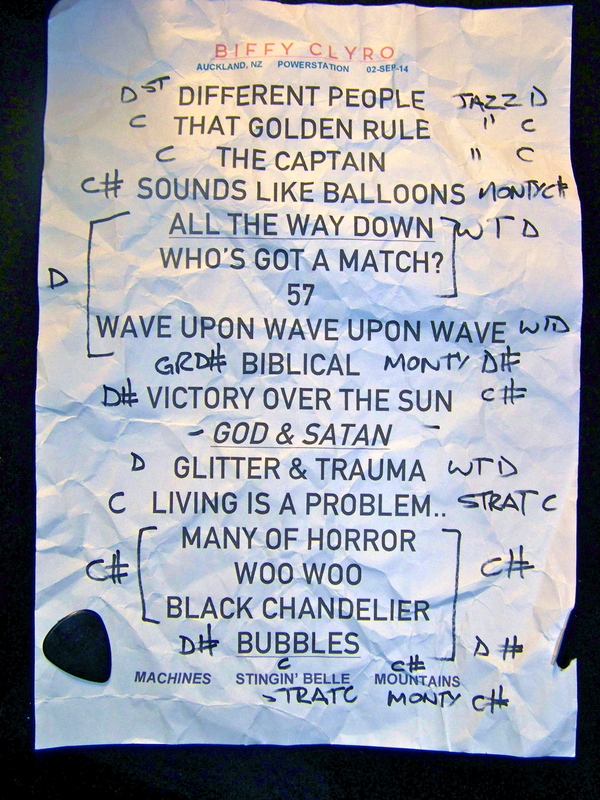 In fact, Biffy may well lay claim to my first exposure to math elements in rock. It’s either them or Tool. They took my listening experiences beyond the standard 4/4 or 6/8 time signatures that most songs we listen to are written in. “Now I’m Everyone” contains a 5/4 passage that used to annoy me so much, but I now love it. I wasn’t sure what to make of the lyrics for most of this album. Plenty are simply nonsense. However, there is a coherent theme of mourning throughout. Simon’s mother had passed away shortly before the album was written, and glimpses into his grieving can be found throughout. I couldn’t tell you why a man is on the corner selling dozens of bones, but when Simon cries “Eleanor, I would do anything for another minute with you” the message to his late mother is clear. 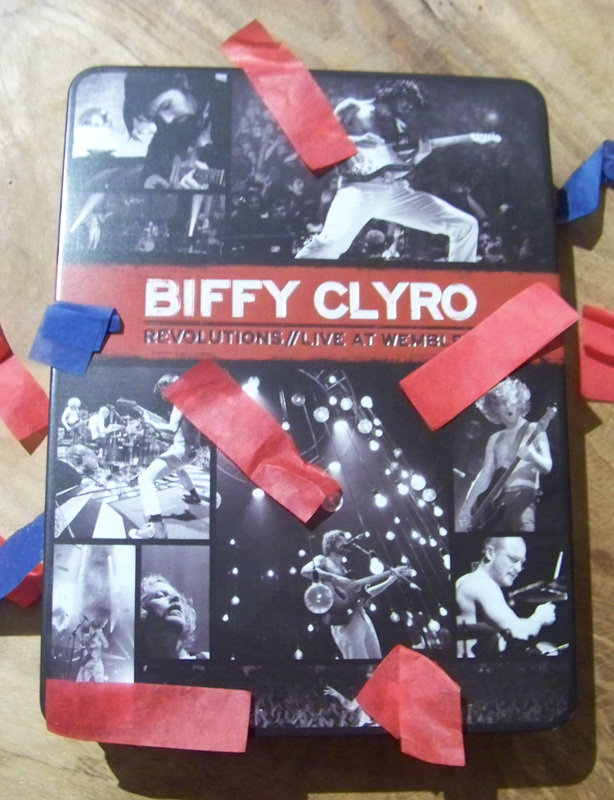 And, just like that, I became a Biffy Clyro fanatic. I started trying to push it on all my mates, spreading the good word of the Biff. It became a bit of a running joke among my mates – “yeah, yeah, Joseph. We know – another weird rock band. Stop going on about it would ya?” Took a photo of the Puzzle album cover with my phone to use as the phone wallpaper, but after a while switched it for something else after a few too many people had asked me why I had the photo of a naked man on my phone. I did manage to convert a few mates. I was in a band with my best friend Tom [who had gifted me the CD] and another friend Harry, and we chose to add “A Whole Child Ago” to our repertoire, alongside other obligatory teenage covers band numbers: Nirvana, Muse, Red Hot Chili Peppers, Foo Fighters, System Of A Down, Incubus, Rage Against The Machine etc… I actually sat down to try to drum along to the track a few days ago and realised that I never did figure out how to play it properly, and just managed to come up with something similar that seemed to work. It’s a tricky linear beat that swaps between the hi-hat, snare and kick, and changes ever so slightly every few bars. I think I was more suited to playing something more simple and aggressive like Nirvana’s “Breed”. It’s crazy that no-one had heard of Biffy in New Zealand. At the time, the band was busy headlining major festivals and touring with the biggest rock bands over in the UK. I guess that shows how important radio play was for entering the public consciousness, back in the days before music was so easy to find online. I’ve since dug through the band’s catalogue, and own all of their albums and on CD or vinyl (I have most in both formats, because I’m a loser fanboy) as well as a few b-sides collections. 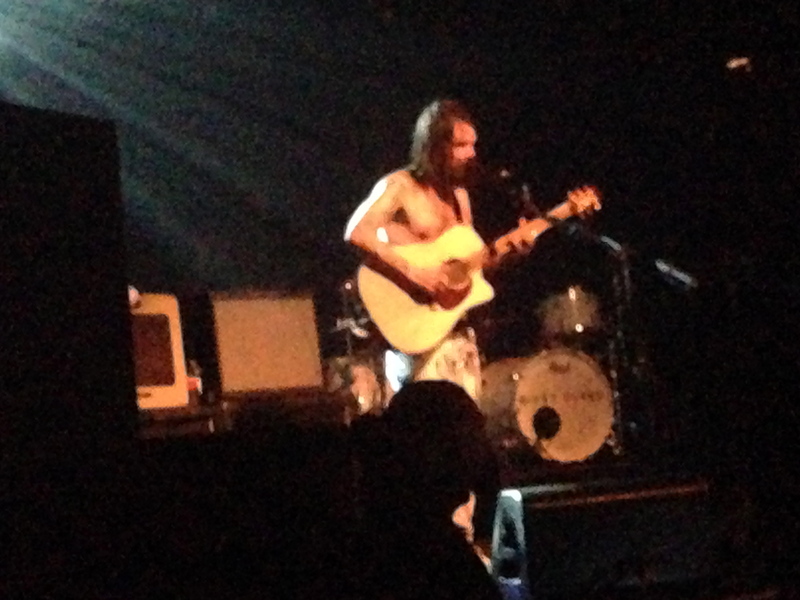 I saw Biffy the one time they played in New Zealand and it was everything that I’d hoped for and more. I used that review to launch this music blog (and probably got a meagre 10 views – whoo!). I guess what I’m trying to say is that NME was right. On that little orange sticker, stuck to the front on the album near the parent advisory box, they told me that the album would change my life.